When it comes to encouragement, sometimes the ones we love the most get the short end of the deal. 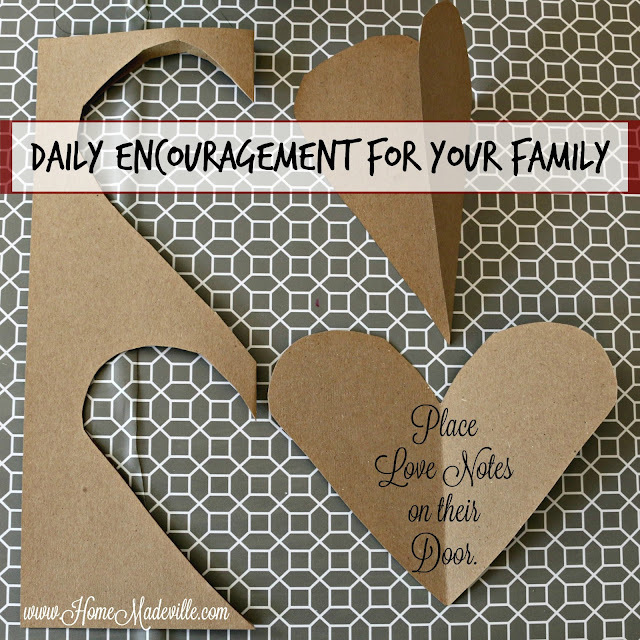 Today, I want to share a really simple but extremely impactful way to encourage the people in your home. Two weeks ago, I started leaving encouraging notes for my husband and daughter on the doors to their rooms. Not only has it been the highlight of their day, but it has become the highlight of my day, as well. I would like to give special thanks to the Skip to My Lou blog for sharing the idea. 1. Choose a period of time when you would like to leave your love notes. You can also get the kids involved by helping them leave encouraging notes for their siblings. I think this would be a great way to help siblings notice the great characteristics of their brothers and sisters, especially if they are going through a bickering period. 2. Cut out the hearts and write encouraging notes. What you write on each heart is up to you, but should be something encouraging about the person you love. I used phrases like, You are... or I love... (an admirable quality about them). Just keep in mind that the qualities should be about how awesome they are and what makes them a unique individual. You could also printout the note you would like to leave, but I think there is just something about a handwritten note -- even though my handwriting is TERRIBLE. Your handwriting is distinctive, so embrace it and know that it will most likely mean a great deal to your family to see that you loved them enough to write it in your own unique style. 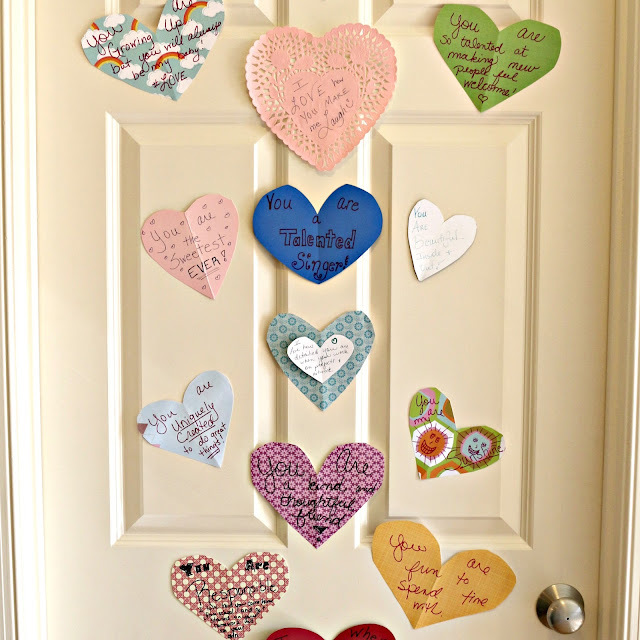 Tell your family their unique qualities by placing a heart on their door. 3. Attach the note to the door with tape, sticky putty, etc. I used clear tape, but you could bring more personality with washi tape. If you have painted doors, you might consider painter's tape or putty to protect the paint. Because we generally keep the doors open in our house, I would close the door after leaving a note, as an indicator that the note was waiting for them -- especially since I didn't have a specific time of day set for the dropoff. 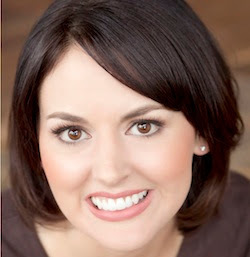 Living with others has a tendency to accentuate the differences -- good or bad. This can sometimes lead to negativity. We start letting them know that we don't like the way they load the dishwasher or don't appreciate how they leave their shoes in the floor. Before we know it, we are pointing out the flaws, more than the things that make them lovable...and we all need to be reminded that we are lovable. I think you will find that this gesture of love not only makes your spouse, kids, or roommate feel special, but it also reminds you of all of the amazing qualities that you love about each one of them. You can never go wrong with Acts of Encouragement! 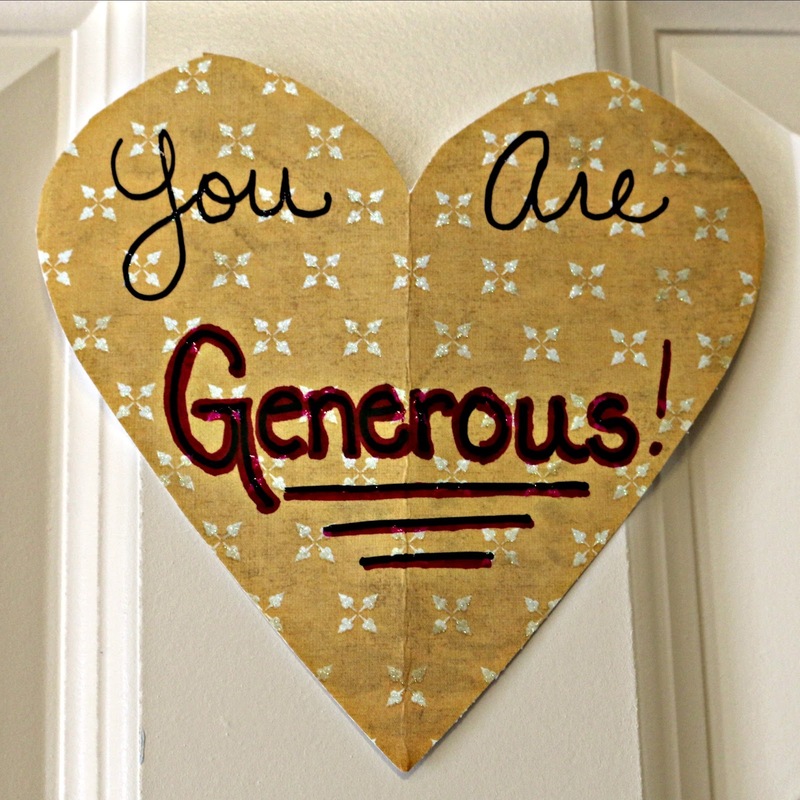 I would love for you to share your favorite #ActsofEncouragement with me. You can do that in the comments below or on social media. Also, if you would like to learn more about Why I think encouragement is so important, you can read about it here: Encouragement Movement.